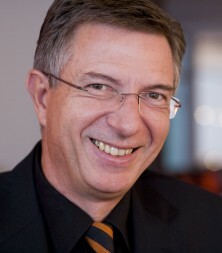 Martin Amann worked for the Schmidlin & Partner design agency for over 20 years. At the time it was one of Europe’s leading specialist agencies for packaging design and corporate identity. In 1990 Martin Amann became a majority stakeholder in Schmidlin & Partner AG and opened branches in Barcelona, Milan, Hamburg and Düsseldorf over the following years. In order to achieve a global presence – a market requirement at the time –Martin Amann sold his majority shareholding in 1997 to the Coleman Group in New York, which in turn merged with FutureBrand AG in 2000. In January 2004 Martin Amann opened the Amann & Partner AG agency in Reinach. The agency now employs 11 people and works for customers like Aurora, Dr. Oetker, Lindt & Sprüngli, Henkel throughout Europe, Hochland, Zweifel and many more. It is our individual limbic profile – in other words our reptile brain – that determines which images stick in our mind. Humans have been visual creatures since primitive times. No other human sense is nearly as well developed as our sense of sight. This is also the reason why we absorb 80% of all information through our eyes. Despite our self-perception, we are not ‘Homo sapiens sapiens’ (wise, wise men) in the narrower sense. We are creatures controlled by a very old part of the brain – the reptile brain (limbic system). All information is scanned for relevance in the ultra short-term memory and only the information that matches our limbic profile is registered and checked for connotations in the short-term memory. Only the information that passes this second hurdle is processed intellectually – and that is less than 1%. This means that our reptile brain also determines what we do and do not do; what we buy and what we leave on the shelf. Anyone who does not know or ignores the limbic profile of their target group will pay for it with market failure. But anyone who specifically addresses the reptile brain will achieve greater value added and higher sales.